Competency-based interviews are the standard across nearly every industry. 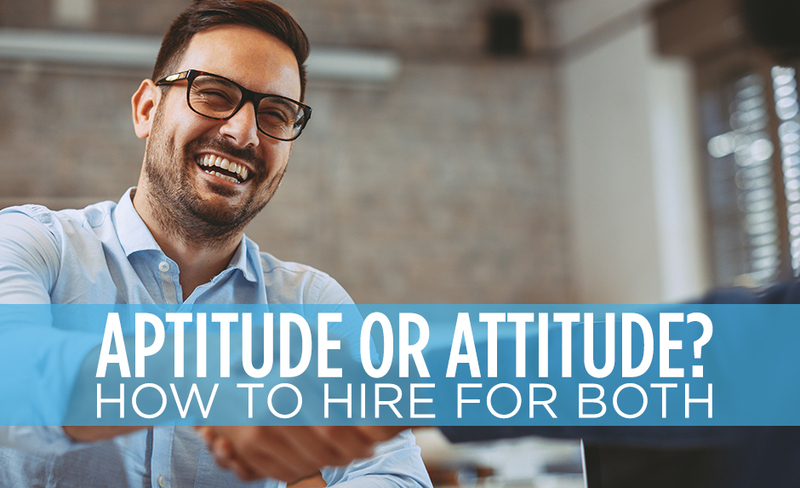 While there has been a quiet rumble promoting the value of hiring on attitude, soft skills, and behavior, the hard skills approach still remains the norm. HR professionals across the board can agree that yes, assessment of a candidate’s technical skills are essential to the interview process when forecasting their success in your organization. But if their personality and attitude don’t line up with the culture of your organization, how much can their expertise really bring to the table? Your company culture, mission statement, and values are the ethos of your organization. Without employees who represent the ethos of your organization, those who live and exemplify your organization’s values, the health of your organization will inevitably suffer. Your organization’s brand voice, values, and mission should be loud and clear in the public domain. This allows you to attract the right candidates via ‘self-selection.’ If your brand resonates with a candidate, they’ll apply because they’re genuinely interested. For example, if your company is majorly comprised of remote employees and a potential candidate thrives in a team setting, then that message should be loud and clear. The onboarding process is the first, unfiltered time when your organization’s ethos comes to life. HR should provide content beyond formal presentations and company handbook reviews. Invite your company’s all-star employees to speak and provide insight into what life is like working for your organization. Onboarding should be seen as an opportunity to integrate your candidate into the organization for the long-term, not just as another formality. Are you seeking a dream candidate who checks all the boxes, but you don’t know where to start? Eastridge Workforce Solutions is here to help. Contact us today to learn more about our recruiting solutions and how we can place your ideal candidate.